Big Eck’s in-form Blues – unbeaten in 14 games now – edged out Forest in a very tight game, which the visitors – in decent form themselves – dominated for long periods, in terms of possession at least. But Joe Hart was in fine form again. Barry Ferguson’s second-half goal, his first for the club, was enough to see Birmingham progress to the next round, but credit to Forest, who showed that if they are promoted this season, under Billy Davies they would have a good chance of staying in the Prem in 10/11. 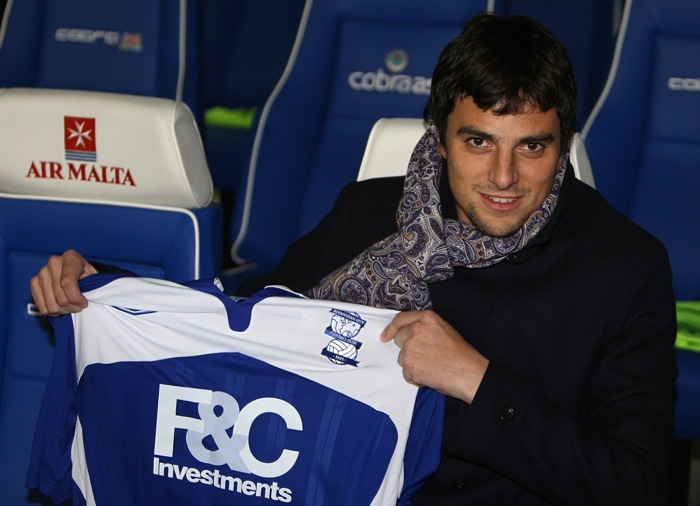 Birmingham’s new signing, Spanish midfielder Michel, was also shown off to home fans. He looked extremely cold but obviously happy to have made the step up from Gijon to the Prem. We just weren’t clinical enough on the night (same story as the first leg). We were again relying on the spectacular but I think we may have used our quota up at West Brom. Nottingham Forest did not really see the true Birmingham City. But hey be fair every team is allowed to play badly now and again. In fairness despite being below par we still matched what Nottingham Forest threw at us and to be truthful I think the game was far more comfortable for Birmingham than the 1-0 scoreline would suggest. I don’t think Hart had a save to make second half while Lee Camp was on top form. I know Nottingham Forest will say they rested 7 players but if anything would that not give you the edge? This was the same starting line up for 13 league matches in a row. Do I think Forest will get promoted? I’ll say this that if that was the second best team in the league then the league has gone downhill from last year!! Nathan- I could not have put that any better myself, nothing else to say, spot on. Here here Nathan. As a Forest supporter I am delighted that we are doing so well at present but I am not oblivious to the fact (as many Forest fans are) the Championship is not at the level it once was quality-wise. The current Reds run of form has been gloryfied and distorted somewhat as a result. Some of the ‘top’ teams we’ve played this year have been abysmal from a footballing perspective, poor desicion making and a lack of general skill and composure plus a tendency to resort to ‘hoofball’ tactics have diminished the league over the last few years.